Will Brady ask Welker and Moss? We all know Tom Brady during his four-game suspension won't be just sitting around waiting for the Browns in Week 5. Although he probably could because your playing Browns, it looks like he'll be getting help from some big names when he works out. I'm almost positive Wes Welker is going to be here. He will probably reach out to Randy (Moss), and Randy will come because Randy's still in good shape. Real good shape. If this happens it would be a very sensible move by Brady because both Welker and Moss know the Patriots playbook inside out, and so the Pats QB won't have to step out his comfort zone. Also, Bill Belichick won't be having any sleepless nights because he doesn't have to give the Pats playbook out to undrafted free agents if Brady uses his former teammates. On top of the that, Welker and Moss are very similar to 2 targets Brady has on the team at the moment, these are Julian Edelman and Rob Gronkowski. With Edelman almost an identical piece in the Patriots offense as Welker was and Gronk who does it all just like Moss used to do back in the day, it's going to be easy. 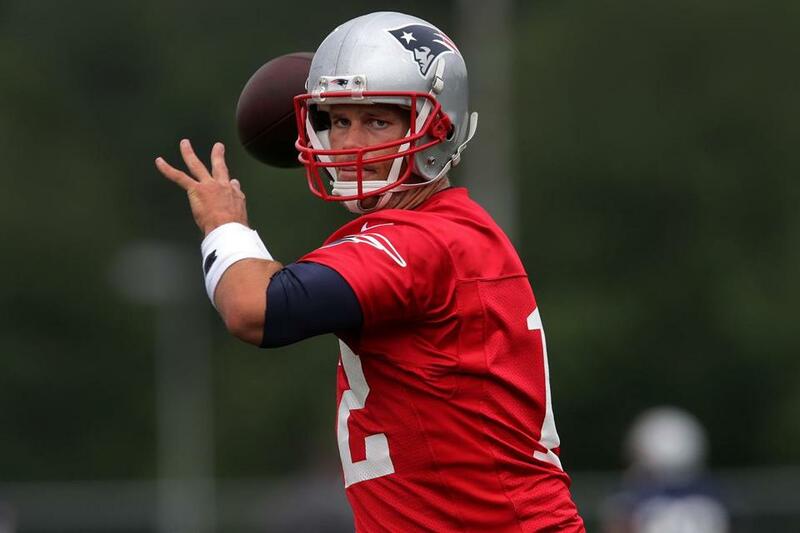 Brady knows the Patriots practice drills from back to front so he is going to have no problems simulating these situations, that he would see at training camp. Faulk's guess of workout partners do make sense but that is all it is, a guess! This going to be a huge story that will carry on until Brady returns but one thing that is for sure. He's going to be ready.